Player – it is something without which can not do any one lover. If you are a lover of good music and want to have it with you always and everywhere, get an MP3 player. But we need to figure out how to upload to your favorite songs. The process is easy to ugliness! First you need to download the songs. Select the website where you can download music. Most popular free music portals: "zaycev.net", "zvukoff.ru", "best-mp3.ru" etc. Type in the search engine "free download MP3", and the system will give a huge number of addresses. Go to any of them. Create on your desktop (or in any other location) folder. Here you will be able to save the music. Go back to the website. Download to the computer (in the folder that you created) a few favorite songs. Ensure that the name you are saving the files are not too long, without "krokozyabra", clearly reflect the artist and track name. Connect your MP3 player to the computer. This is usually done through the USB port. If you connect the device first time, it is necessary to install the driver. Modern operating systems do it yourself, you don't need. It will only be necessary to wait until the end of the installation. If your computer does not support a similar feature, use the installation disk. When you see the words "Hardware ready to use" in "My computer" will appear a new removable media device, open it. Drag to the root folder of your MP3 player all the music. Or send it to removable media to do this, right-click the folder containing melodies, select "Send", specify the location and wait for the copy process. For convenience, you can arrange songs in alphabetical order. To do this, select all files, right click on the free space of the folder, right-click, hit "Sort – alphabetically". Close all Windows. Safely remove the player as any other removable equipment. That's all! Enjoy your favorite tunes anywhere and anytime. 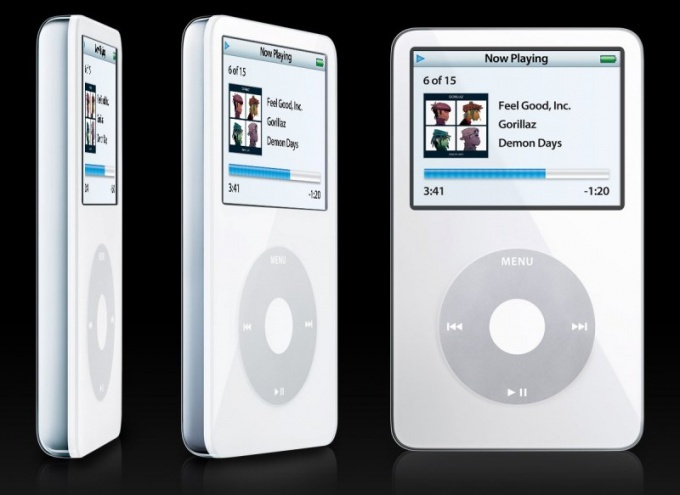 A range of iconic players iPod from the world famous company Apple is the most sold collection of players in the world. 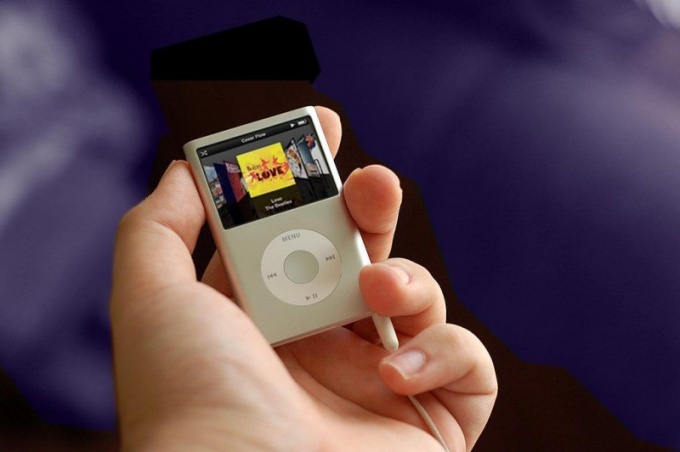 Every year, the iPod nano, shuffle, touch updated, but one thing remains unchanged – the closeness of the operating system of the player and sync music through iTunes. This causes problems with the pumping music on the iPod for beginners. iPod not recognized by computer as a player because of its closed OS and therefore cannot be either "paste" from the PC, but you can only "copy" the files from the memory on the hard disk of your computer. One more thing: even if it could be made, for example, through the operation of jailbreak on the iPod touch, perhaps the music on the player wouldn't have played. All because Apple used music file format AAC, abandoning the familiar MP3. This saves space on the disk of your iPod. But how then to upload the song on your iPod? To sync music with player need iTunes. It is free, has Russian interface and is downloaded directly from the website of Apple. After installing iTunes, connect your player to the computer. First attached the USB cord to the iPod must be activated in iTunes. 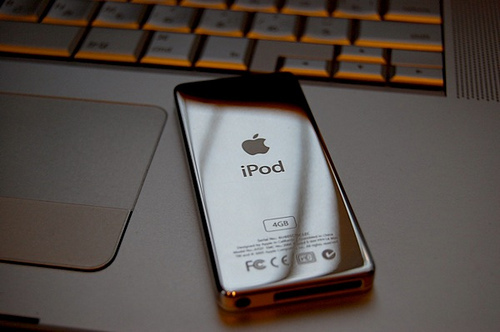 After activation in the left column, you will see connected device – the Apple iPod. Click on it, and in the appeared window, at the top ,click the tab "Music". Ibid., checkboxes, choose from your iTunes library on your computer the music folder or individual tracks that you want to upload to the iPod. To add music to your iTunes library, select the top menu item "File", and "Add file to library" or "Add folder to library" if you want to add a whole music album. Once uploaded to the music player is determined, return to the main window of the device and hit the bottom of the screen press "Synchronize". Wait for sync and you will see that all tracks in your iPod. On the iPod touch for a beautiful display of albums while playing don't forget to add music with album art. First there was the music – namely the iPod. 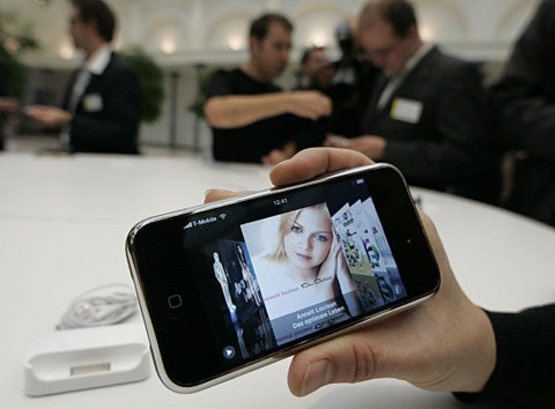 Appeared followed by the iPhone combines the features of the phone and the player. Now, open the iPod app on the iPhone, you can download the music one song or entire playlists – artists, genres, and other categories. Add music to iPhone in two ways. The first is to go to the store for iTunes on your phone and, after paying, to download any songs or albums. The second way is to sync your iPhone with iTunes on computer. Since the second option is free, please consider it in more detail. Open the iTunes application on the computer and import back the music. This can be done in different ways. For example, to load songs from your CDs. To do this, insert the CD into the drive. In the iTunes window displays a list of the songs, they will all be checked. Remember those songs that you don't want to import. At the bottom of the iTunes window, click "Import". To cancel the operation, click the "X" in the upper part of the window (where the progress bar). You can also just drag the file from the CD to the iTunes window. Open the playlist "Music" in the Library list and move the file there (release the mouse button as soon as you see a green plus icon). The same can be done with files downloaded from the Internet. If you songs are stored in folders, then drag and drop the entire folder – the order of the songs on the iPhone in the future will continue. If you prefer to use the menu, then click iTunes menu "File/Add file to Library" or "Add folder to Library". Then select necessary files or folders and click "Open". Music will be added to the Library list. Also in the menu "File/media Library" you can import entire playlists. Set up sync with your iPhone – it can be automatic or in manual mode (settings can be changed at any time). For automatic synchronization, connect your iPhone to your computer. In iTunes in the "Device" list select your device. Click "Music" and select your synchronization options. To save changes click "Apply" to return to the previous settings, click Cancel. Now every time you connect your iPhone to the computer it will load new music from iTunes. To prevent automatic syncing, go to menu edit/Preferences, click the Devices tab and tick the corresponding paragraph. In manual synchronization, you just need to drag an object from the list of iTunes in the iPhone in the "Devices"section). Each song streamed on a computer using the iTunes application will remain in your iTunes Library. When auto-sync with your iPhone there may be no need for you to songs. Be careful! Player iPod of the company Allpe – is a multifunctional device that allows you to play games, read books, visit Internet websites. In addition, this device is used as a music player. How to download to your iPod music? Install iTunes on your computer. This software is designed to manage data, update, iPod, recovery, information on this player. Connect your iPod to your computer. The device must be in the on state. Wait until the operating system detects the connected device. Add music files to the library. To do this, in iTunes, you can use the menu item "File – Add file to library (Add folder to library)". Select a file, group of files or folder, click "OK". Music can also be added by "dragging" the music file, group of files or folder in the section "Library" on the left side of the iTunes window. Prepare the music for recording into your iPod. To do this, select in the left part of iTunes connected device. In the main window on top, select the tab "Music". In the list of music check songs, genre, artist, or album you've added to your library. Put it in the same window, tick "to allow to sync music to this device"
Click on the "Sync" button in the lower right corner of the iTunes window. The synchronization process will be mapping data from a data store on a computer and content on your iPod. 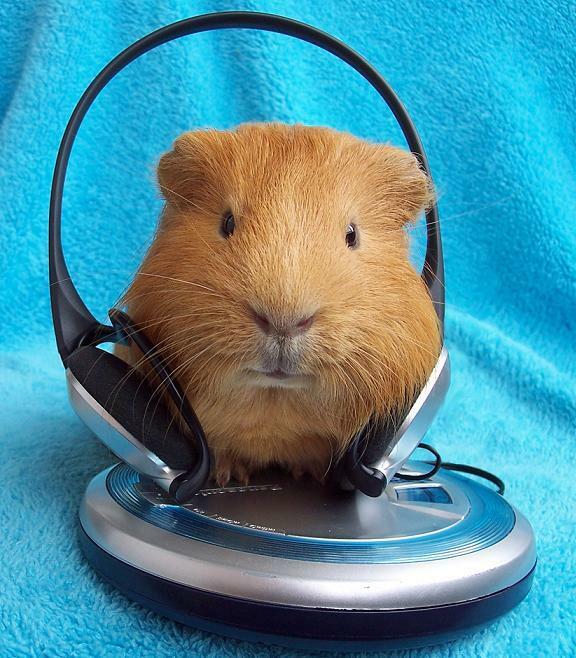 Accordingly your added music will be transferred to the player. 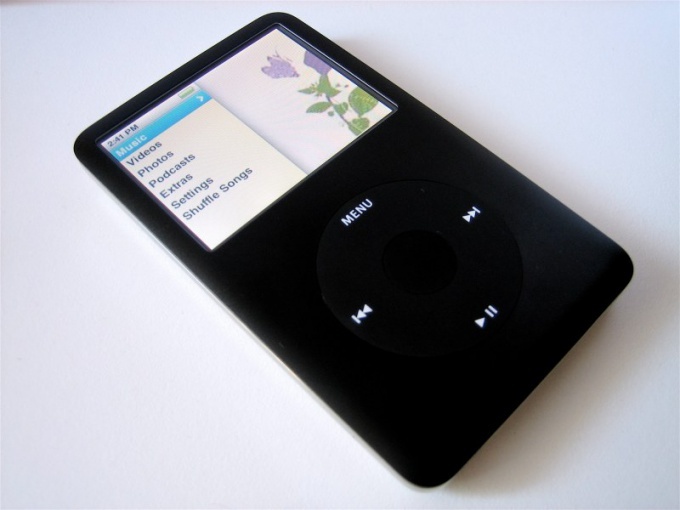 Remember that the iPod is "attached" to a local copy of your library on your computer, if you try to add music by installing iTunes on another computer and not moving the database from the computer that was used before, iTunes will erase all the data that was submitted previously on another computer. In order for the synchronization process went faster, close any unnecessary applications, synchronization requires quite a lot of computer resources, the data migration is back up database of your library. The vast majority of modern audioplayers are intended for use together with a computer it needs to be a source of audiofaylov copied to this gadget. The improvement of the players is moving in the direction of simplifying this procedure, and for today move music from your computer to your music player already does not pose any difficulty. Connect the player to the computer. The specific method depends on the model, but most often it is enough to connect them by cable from the accessory kit included in the acquired device along with the kit. Typically, this cable has at one end connector type mini-USB, and the other is a standard USB connector. Insert the mini connector into the corresponding socket of the player, and the second connector connect to one of the inputs of the USB port on the computer. After connecting the player to the computer operating system detects the new device as "external storage" and it will be available just as any drive of your computer. If the OS can't find in its database for a suitable driver in the notification area of the taskbar will pop up corresponding warning message and you will need to install the driver yourself. Typically, the players that require additional drivers are included the disc with the software - install it into the reader optical drives on your computer, click the install option of the driver, and then follow the instructions given by the installation program. If such a disk no - go on the website of the manufacturer of the player and download the required software from there. If your player requires to operate the computer using a special program, then copy the desired music files. However, most current players are fully compatible with Windows. 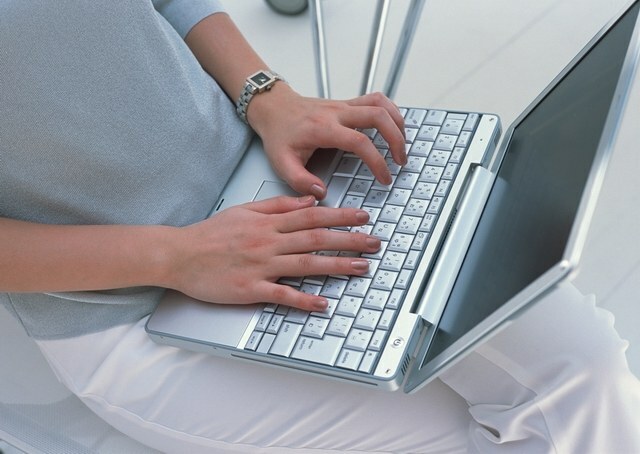 Therefore, in order to copy the desired music files from computer to the player, just select them on the desktop or in the Explorer window, press ctrl + c, then go to connected as external drive player and press ctrl + v. This way you can copy not only single files, but folders. IPhones are characterized by their versatility. One of the popular features of this gadget – a music player. However, the inability to download music files to iPhone as an ordinary removable media leaves many users confused. Connect via USB cable your iPhone to the computer. Start the application required to write files to iPhone – iTunes. If it is not installed, download it from the official website of the developers. To do this, start a web browser, go to apple.com open iTunes and click on the link Free Download. On the opened page, specify which version you want to download, then click Download Now. Wait while the file downloads. After complete downloading double click on it and install the application. In the interface of iTunes, choose File – > New playlist. Then in the left column in the tab "Playlists" give it a name. It will be used to record music on your iPhone. Add to playlist cover. Select all the files in it, click on them with right mouse button and select "Information". In the opened window, select "Skin" and then download the desired image. It remains the most important thing is to record music. In the "Devices" section, select iPhone, then click the "Music". Check the box next to "Sync music" and then choose "Selected playlists". Tick the playlist you created, and then click "Apply". Wait until the end of the process. With the release of the 7th version of the iTunes application has become much simpler to transfer music from iPod to computer. With the new backup feature you can quickly recover and move your music library. Make sure your IPod is configured to interact with the hard drive. By default, this means that your computer should recognize the IPod as a USB device or external drive. Connect your IPod to your computer and open iTunes. When iTunes has loaded, select your model and click on "Settings" in the main window. Click "Browse" and select "manually manage music". You have to set a tick in the box next to the option "Enable disk use." Go to your player on the "Advanced" tab, then "General settings". Select the check box "Copy files to the "Music" folder to iTunes when adding to library" and click "OK". Now when connected to iTunes it will copy all the music onto the hard drive of your computer. This should not be a problem if you have enough space on the hard drive. Restore all the music, if you just installed a new operating system on the computer. Connect your IPod and make sure iTunes is enabled backup music and migration the new library. Go to "Settings", "Advanced", then "Reset". Click "OK". Then go to the tab "Advanced", "Consolidate library" and select the checkbox next to "Consolidation". Copy music to your computer. Find the folder "Music" (usually available in any computer located in the personal documents of the user) and drag the to the desktop. Locate the icon for your iPod, double click to open it, and drag the appearing list of musical works with iTunes to a folder on your computer. Wait until the music is copied to the folder, and then open iTunes. Make sure that the tracks and all related information synchronized. Record music and other data on the iPod is not all in the usual way. The operating system interface may not be enough – you will need a special program from the developers. Download and install iTunes. It is specially designed to synchronize your iPod and computer. Open a web browser and navigate to apple.com open the iPod and locate the link to Download iTunes. Click on it on the next page, select the desired options, click Download Now. Wait for the program to your hard disk drive, and then install. After installation run iTunes. For recording music on your iPod, first you need to add to the music library of the program. Select the menu "File" –> "add file to library (or add folder to library"). In the opened window, select necessary files, and then click the appropriate button to add music. Wait for the copy process. In the future, the library was always up to date and make the appropriate changes to the program settings. Select the menu edit – > Preferences – > Advanced – > General and check the box next to "Copy to iTunes Music folder when adding to library". When deleting, moving or renaming source files added to the music library will remain unchanged. Connect your iPod to your computer using the usb cord. One end into the corresponding Jack of the player, the other end of the system unit. Open in iTunes, the Music tab, select "Sync music" and click "Apply". Wait until the process of adding music to your player is complete. Use the possibility to create playlists to burn to a player not all available in iTunes music, but only that which is needed at the moment. When you select "Sync music" you can specify specific playlists that you want to see on your player. Exactly the same playlists appear in the iPod. People have, for the first time purchasing products from Apple, may have a variety of questions. For example, how to transfer music for your IPhone. It has a simple and clear answer: you need to register iTunes. Thanks to it, users can throw the necessary audio and video files on the phone. First, download the installation file from the official site http://www.apple.com/downloads/. Before you choose the operating system used on your computer. Click on the button "Download". As soon as the installation process iTunes bodø is completed, run the program. Take your time and go directly to the registration service. Please follow a few simple steps that will help you to avoid problems with the operation of iTunes in the future. You will see a list of countries. Pick the one you are in, then go to the directory free files. You have to click on the app that will be marked as free. As soon as the file is loaded, the system will prompt you to register. Click on the link "Create new account". After the screen appears "Welcome to iTunes Store", click on the "Next" button. You will be redirected to another page that hosts the user agreement. Once the necessary items are confirmed, proceed to fill the special questionnaire. In it, specify your e-mail address, date of birth, password. Don't forget to confirm the entered password and set a secret question and answer. Be sure to check the payment method. You can choose MasterCard, Visa or None. The last option is for those who do not have cards or they don't want to use them in this service. Now enter in the appropriate fields your name, surname, address (city, state), case, and mobile phone number. Click on the "Next"button. Go to your Inbox you have indicated during registration. There you will find a letter confirming the account creation. Inside it contains a link that you must click to complete the procedure. You will be taken to iTunes, enter there your login details. Immediately after account activation, click on the "return to iTunes" to use the features of the program. 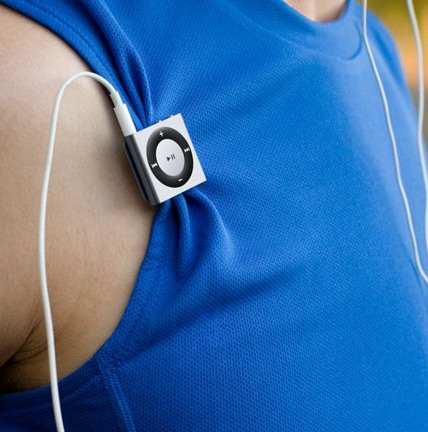 With player your favorite music you can listen anywhere - on the jog and in the gym, in public transport and walking. Lightweight and compact, with great battery life - it is always with you. That's just to evaluate all the advantages of MP3player, you first need to upload the music. Carefully read the manual of your player. Pay special attention to the section devoted to the connection/disconnection of player and transfer files onto it from the computer. On that computer, install the software from the disk that comes with the player. On the drive there are driver and software to transfer files (not for all models). If in the box with your player did not have such a disk, feel free to skip this step. Connect the player to a computer or laptop that contains the music files for download. Do it using the regular cable from the kit or other suitable (USB/micro-USB or mini-USB). After the system detects your device, on a computer screen, a window will appear. In it you will be asked to choose one action from several options. Select "Open folder to view files" and click on it. What you will see in the window depends on the model of your player. Usually there are system folders/files and a few test tracks. It is possible that there will be a Music folder, in which you will need to copy your favorite music. You can also create the folder, as well as any other at your discretion. Open the computer folder with the music you want to download to the player. Window the player remains open. Using the mouse, drag the desired folders/files. All this you can also do in Windows Explorer. Use to download music player software from the CD-ROM manufacturer, if any. Thanks to the intuitive interface of such programs, to upload music into the player is not difficult. Before you disconnect the player from the computer, click on the icon for "safely remove hardware and eject media" on taskbar. Select "Eject (name of your device)". Waiting for the system message that the device can be recovered, unplug the player from the computer.